It's fast, furious fun for the whole family. 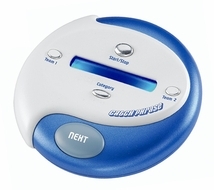 Can you get your family or friends to guess all the catch phrases/words before the timer runs out? 2 Teams alternate turns guessing the answers to clues in 11 categories, including Entertainment, Sci-Tech, Sports & Games and more, to keep things interesting.